For over a decade, we have been designing and delivering elegant personalised wedding invitations and wedding stationery around the world. Professional wedding invitation designs with your own customised wording and professionally printed in-house on high quality commercial printers. We also have a same day dispatch option available on all of our digitally printed wedding invitations. 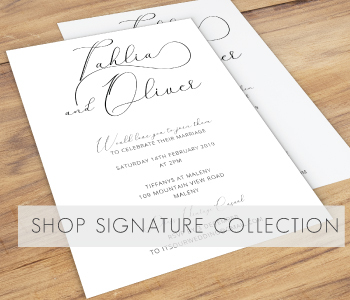 Our signature wedding invitations are designed with love and care for our brides and grooms. Over 12 years experience in the Wedding industry and printing in-house in Australia you can be assured of great service and fabulous wedding stationery. Wow your guests with wedding invitations printed on wood. With three wood types to choose from and available with all of our wedding invitations designs. 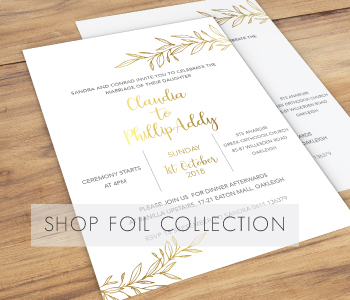 Add bling to your wedding invitations with real foil, while keeping it elegant and stylish with our popular designs for any wedding. Premium card-stocks and easy ordering. It could not be easier to order our elegant online wedding invitations! 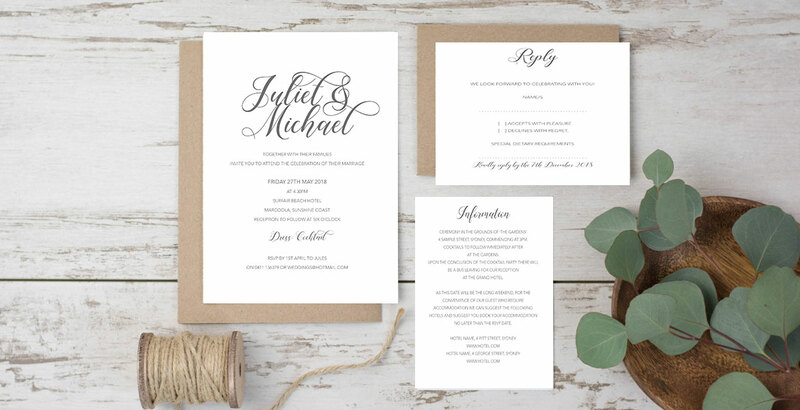 Bundle your wedding stationery online and save. Packages include wedding invitations, RSVP cards, Wishing Well, information cards, save the date cards, or thanks you cards, and extra bonuses. Inviting Weddings have been designing and delivering wedding stationery and online invitations for more than a decade. Join the thousands of satisfied customers all across Australia when you order wedding stationery with Inviting Weddings. We have the ability to offer same day wedding invitation printing on most of our range. Our printing is done in house so you can be sure the quality meets our own high standards. Inviting Weddings ensures that your special day gets the treatment it deserves. Whether for a modern or formal setting, you can rest assured that we’ll add a touch of magic to your wedding day, with refined wedding invitations that will undoubtedly become more than just keepsakes among your guests. Get your entire wedding party toasting to your good taste when you consult with us to create uniquely personalised wedding invitations that add a sparkle to your life’s grandest moment. 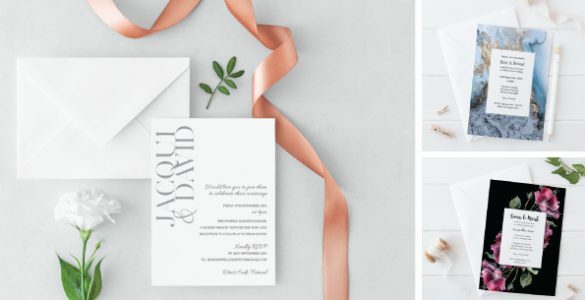 No matter the theme you’ve selected for your big day, you can be sure that Inviting Weddings can help to mark your grand occasion with elegant wedding invitation cards that will only entice your guests to share in the joyous occasion of your union. 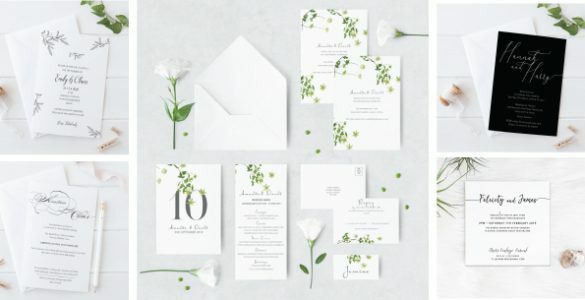 With Inviting Weddings you’ll get to select from a wide range of unique wedding invitation designs, perfect whether for a formal or modern wedding theme. 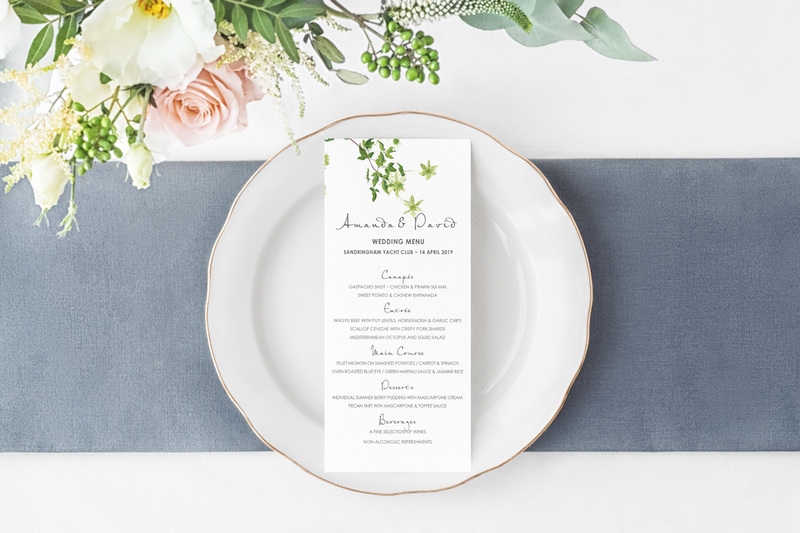 All our elegant wedding invitation designs are custom created in-house, and we always enjoy working closely with our clients to better understand their needs and make accurate recommendations that are sure to impress everyone on their big day. We stock the most elegant wedding invitation designs for you to choose from. Inviting Weddings strives to be among Australia’s leading names when it comes to personalised wedding invitations. 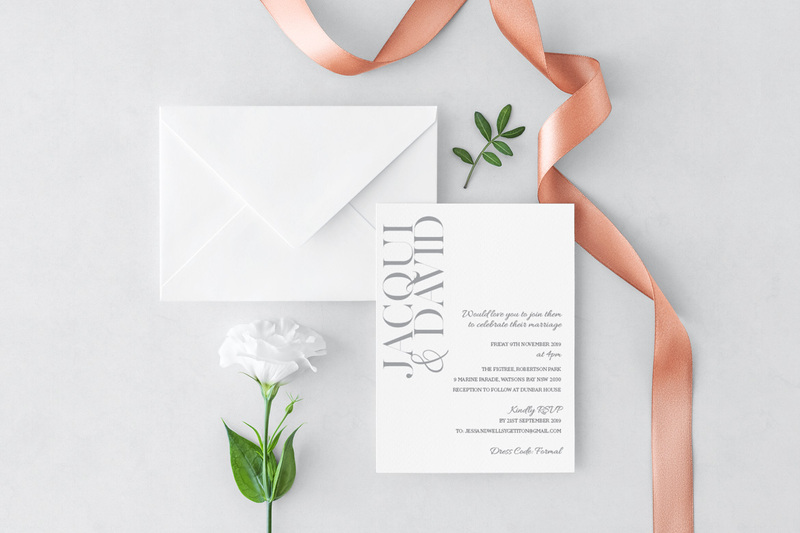 We work to keep newlyweds excited for their big day, with a wide selection of elegant wedding invitation cards available for our clients to choose from. We also recommend a variety of custom materials that our clients can select, to match the theme and style of their wedding. 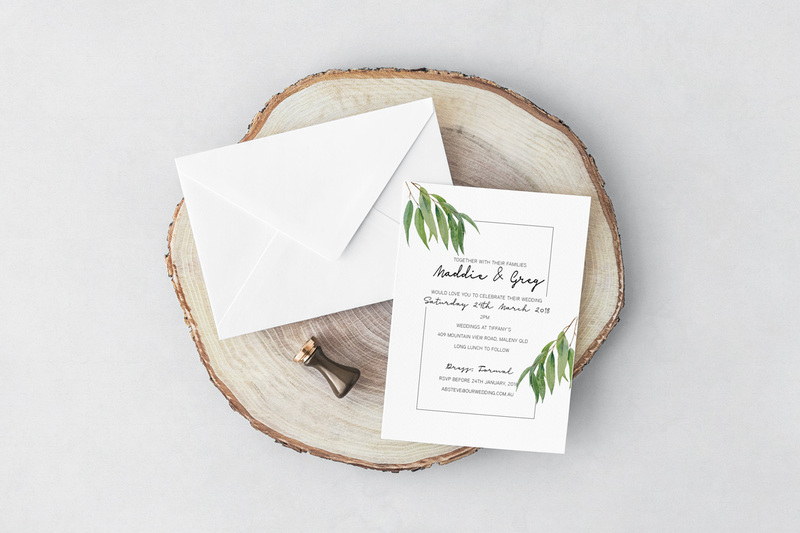 Whether you are going for a rustic finish or a modern setting, you can be sure that we stock an eye-catching variety of elegant wedding invitation designs that are bound to inspire you for your grand day. Whether you’d like to match your wedding invitations to existing features of your wedding plans, or if you’d just like to gain more inspiration to plan your grand day with, Inviting Weddings brings a wealth of experience and industry knowledge when it comes to helping you create the perfect day for your life’s grandest event. 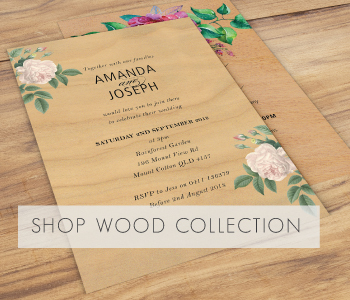 For the most classy and elegant wedding invitations Australia wide, get in touch with us! Once your order is received, our talented designers create and email your unique, personalized proofs. Two complimentary rounds of revisions are included to perfect your stationery. Once you are totally satisfied with the design, your stationery will print and ship!